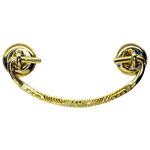 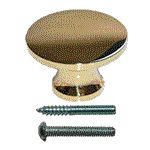 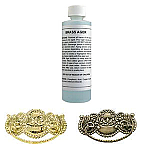 This cast brass knob with stamped brass backplate has a classy feel to it. 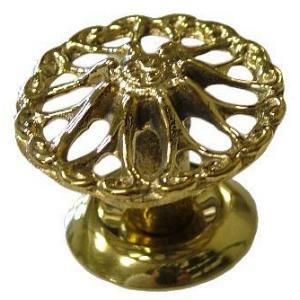 This is a knob from the Victorian era that gives a delicate romantic flair to furniture and cabinets. 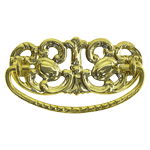 This item is $2.01 when your order exceeds $250 before shipping in qualifying items.